Linda Grayson said: 'There's nothing better than a good friend, except a good friend with chocolate'. Be one! Order this gift box for your friends, family, loved ones, or everyone you care about, as what is inside will make their day brighter? 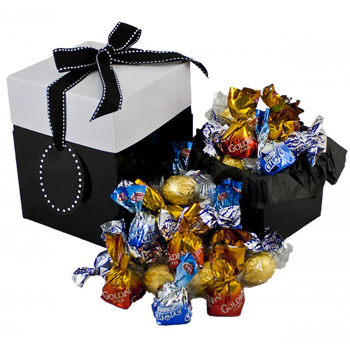 Truffles, truffles, more truffles - the ultimate gift of sweetness in a beautiful reusable gift box.